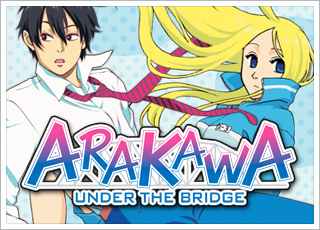 Arakawa Under the Bridge Vol. 1 & 2 | NIS America, Inc. The stage is set on the banks of the Arakawa River. A self-proclaimed "winner at life," Ko Ichinomiya (aka Rec) finds his fate suddenly entangled with a self-proclaimed "Venusian citizen," the beautiful and oddly homeless Nino. The love story between these two youngsters is often humorous, sometimes bittersweet, and always on the edge of insanity. 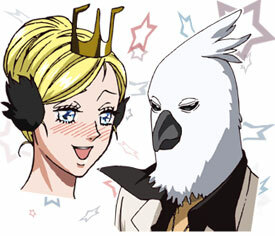 This surreal comedy depicts the exciting lives of these two and all the other maniacal residents of Arakawa under the bridge. Just when you thought things couldn't get any weirder by the banks of the mighty Arakawa, they go ahead and get weirder by a whole lot. Rec, Nino, and the rest of the riverside residents return, and with the addition of another batch of nutty citizens, the insanity gets turned up to eleven...thousand. Now Rec has to deal with a sci-fi loving comic nerd who's convinced he's a captain in the Earth Defense Force, and the less said about the Amazon woman living upstream with her demonic "female" Amazon followers, the better. On top of that, Rec struggles with the pressing issues of romantic expression, media obsession, weight loss, weight gain, beach parties, haunted houses, interplanetary travel, and the ever-present threat of global thermonuclear war! So jump on, strap in, and prepare for a non-stop romp through Crazytown! 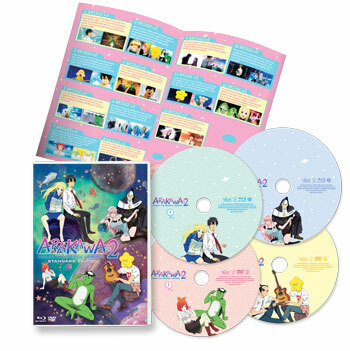 Media: 2 Blu-ray disc set (Subtitles cannot be turned off). Bonus content: TV spots, end card gallery, and audio commentary by voice actors and the original author: Hikaru Nakamura. These tracks will let you take a peek behind the scenes - it’s a very intimate way to learn how the cast thinks and feels about the characters and events! Art book features character art, descriptions, and commentary, interviews with the staff, and special episode information! Premium box with bonus item: 30+ page, full-color, hardcover art book (approx. 11" x 7"). Art book features character art, descriptions, commentary, interviews with the staff, and special episode information! 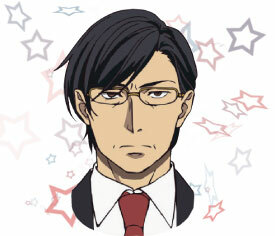 Recruit is the heir apparent to his family business, the Ichinomiya Company. He's an elitist college student who somehow finds time to run his own successful business. He plants himself under the bridge in order to repay the debt he owes to Nino for saving his life. He steadfastly follows his family motto, "Never be indebted to anyone," and makes a conscious effort to distance himself from others. As a result, he's very outgoing but is utterly incapable of maintaining relationships. 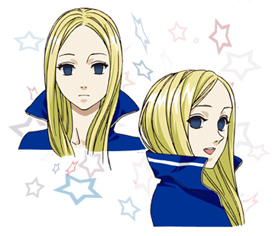 Nino is a cute, sometimes somber, young girl who lives under a bridge that spans the Arakawa River in Tokyo. She claims to have come to Earth from Venus, and many of the things she says and does are predictably unpredictable. For better or worse, she is always straightforward and honest. She demands to become Rec's "lover" after saving him from drowning, but it's hard to tell if she really understands what that means. Village Chief is the self-appointed leader of the residents under the bridge. 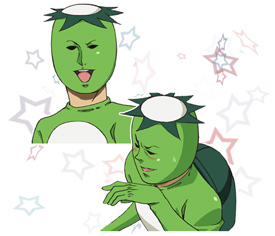 He presents himself as a mythological kappa, hundreds of years old. 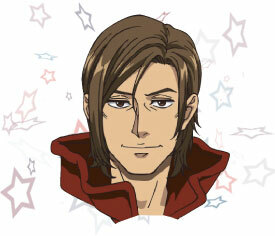 He likes sumo wrestling and collecting mysterious "shirikodama." He is obviously human; you can see his skin peeking out around his nick, and the back of his suit has a noticable zipper. Before anyone can become a resident under the bridge, he must first give them a new name. 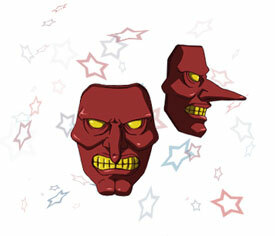 Hoshi is a young man who goes around wearing a star-shaped mask. He was once a famous chart-topping musician, and now he's in charge of entertainment under the bridge, where he puts on a big music festival each year. Hoshi has a huge crush on Nino, and views Rec as his sworn nemesis. He is often overly analytical and aggressive, but he's also surprisingly sensitive. Sister is tough as nails and conducts mass under the bridge every Sunday. He's an ex-soldier who has spent time on countless battlefields. 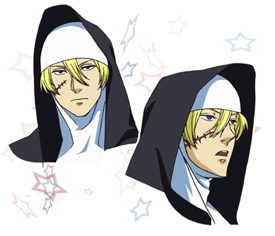 In accordance with the name given to him by Village Chief, Sister will always be found sporting a nun's habit. His dependability has earned the residents' trust, but he won't hesitate to pull a gun on you if you act up during mass. Maria is a true beauty who runs a farm under the bridge. 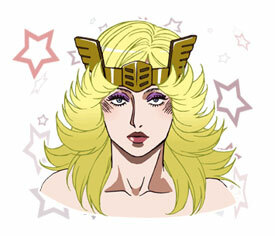 She is brutally sadistic, and that quality alone is enough to place her atop the Arakawa hierarchy. Apparently, though, her devastating verbal abuse is just her way of showing affection. After his childlike reaction to her harsh words, Rec has recently become her favorite target. 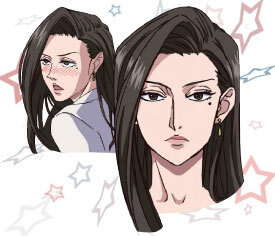 Stella came to Arakawa looking for Sister, who raised her at an orphanage in England. Along with her usual education, Sister made sure she was trained in an array of fighting styles. She would have no problem dismantling Rec or Hoshi, for example. 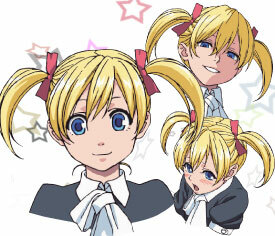 She acts like a cute little girl, but on the inside she's as tough and violent as any yakuza gangster. Whitey's real name is Toru Shirai. He's a middle-aged man who pushes a line marker in front of him wherever he goes in order to walk on the white line it creates. He made up a rule that if he steps off the white line, his wife would turn into a White Cornish chicken, and before he knew it he'd wound up under the bridge. He used to work for a prestigious company, so he's always polite and gentlemanly. 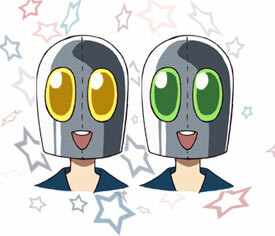 The Tetsujin Twins wear their iron masks at all times. It seems they escaped from a psychic power research lab. Their masks are designed to suppress their esper brainwaves, hiding them from the research scientists. Their shared job is to prepare the steamy barrel baths for everyone under the bridge. 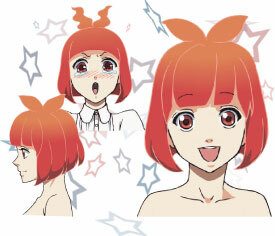 P-ko is a girl with a taste for tomatoes and a consideration for cucumbers. She's 22 years old, but looks like she's just about ready for her sweet 16. She likes to overreact to things, but she's generally quite sweet. 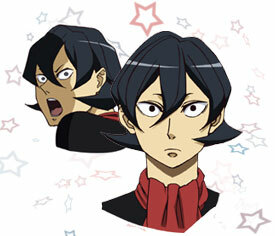 When Rec mentioned his distaste for bell peppers, P-ko vows to grow a pepper that he could grow to love. She's the kind of person who can (and does) slip on a banana peel or slap the wrong person on accident in a teary-eyed rage. Seki is Rec's father, as well as the highly influential Ichinomiya Company. In order to really drive home their family motto, he made Rec pay back any debts he owed even from infancy. Rec's father is utterly merciless, even toward family members. Rec fears him the way humanity fears thermonuclear war. Still, Takai's fatherly obsession with Rec makes even the mighty Seki uncomfortable. Takai has been looking after Rec ever since Rec was a child. He's a top-notch businessman, but his devotion to his work ruined his last marriage. Rec was the only support he had throughout his divorce, which only made his infatuation with Rec that much more absolute. His true desire is to become Rec's father, in any way possible. Shimazaki is Rec's secretary at his company, "Goes." 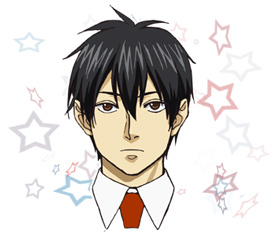 Compared to Takai, the other secretary who is obsessed with Rec, Shimazaki is calm and quite often distant. She's a natural beauty who's always ravishing in her long hair. She has a certain interest in the gallant Whitey, but she has no idea he's already spoken for. 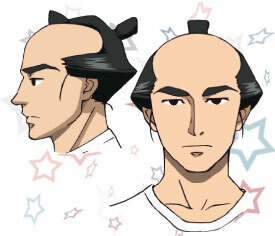 Mr. Samurai is both a devoted warrior-wannabe and a highly talented coiffeur. He can draw his blade and dole out haircuts with an ungodly speed. 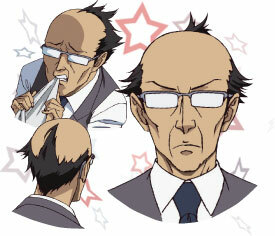 He was apparently a popular hairdresser before arriving in Arakawa, so his styling skill is unrivaled under the bridge. He engages in a life-or-death struggle every time he tries to cut Sister's hair, since Sister simply can't control his military training when a sword comes flying at his skull. This is the most notorious couple nesting under the bridge. Billy has the head of a parrot and the voice of a darkly romantic street thug. He manages to come up with the cheesiest lines imaginable, but to Jacqueline they're like honey. Even so, his bad bird nature garners much respect, even from Nino and Rec himself. Nobody knows if his head is really a mask like everyone else's or not. Jacqueline is Billy's chick, and her emotions make her a little flighty. She works as an aesthetician under the bridge, and claims to have 10,000 husband drones and 30,000 larvae children back at her beehive. Their inter-species affair often ruffles her feathers, but she truly loves Billy from the cockles of her heart. This beefy bombshell is adamant that the Saitama side of the Arakawa River is actually the Amazon. Along with her Tengu underlings, she protects her treasure, King Garigari—which is really just an iced treat from Saitama. 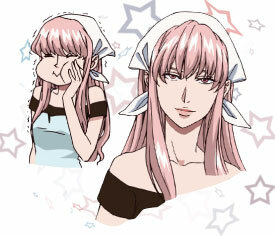 She looks like (and very well may be) a foreigner, and she often talks in a broken accent. But when she gets tired of that shtick, she slips into frighteningly fluent high school girl slang, making the question of her true nationality that much more confusing. This trio of masked misfits helps protect the Amazon's dearest treasure. Their shirts read "Total Maiden," "Bashful," and "C Cup," respectively. The Amazon claims they're an all-female troupe, but you can clearly tell they're guys. Also, at one point they ask Rec for some photo ID as if they're some kind of authority, but they quickly prove they have no idea how to verify a person's identity. 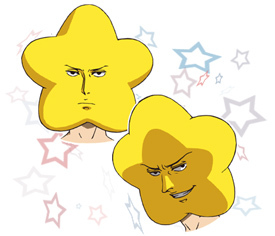 The Creator (AKA the Captain) is a potential Arakawa resident. Ever since he saw Nino catching fish in the river, he's been working under the assumption that she is the Queen of Venus. Since then, he's been keeping a close eye on her. He's an extreme sci-fi geek, and once an idea gets stuck in his head, he clings onto it for dear life. Despite this, or more likely because of it, he seems to fit right in with the rest of the people down by the riverbank.